Lighter and healthier, but still great tasting broccoli and rice casserole side dish. This is one way to get your kids to eat their broccoli. Heat oil in a medium saucepan over medium heat. Saute garlic and onion for 2-3 minutes. Stir in broccoli, cook another 2-3 minutes. 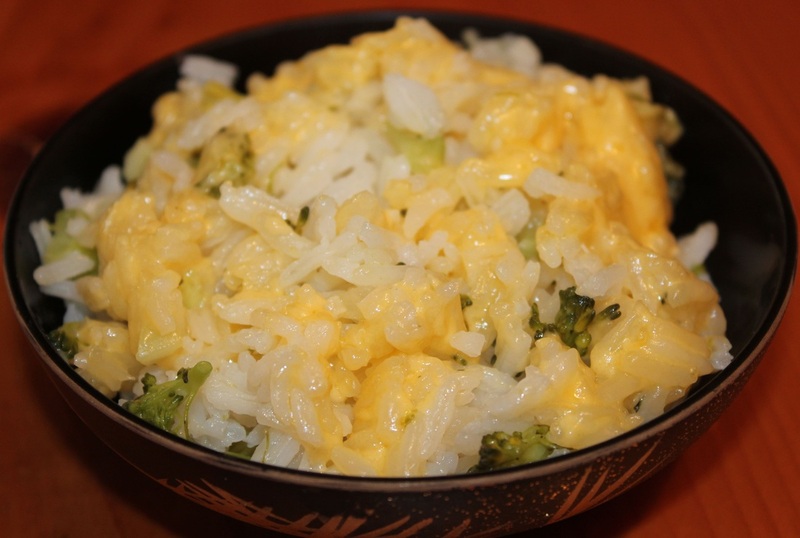 Toast rice in the same saucepan for 1-2 minutes. Add water to rice, stirring well. Bring to a boil, cover, lower heat and simmer 15-20 minutes. When rice is done, stir vegetables into rice. Pre-heat oven to 350 degrees. Coat a oven proof baking dish with cooking spray. Spoon rice/vegetable mixture into prepared baking dish. Top with cheese, cover and bake 30-35 minutes. Stir before serving.